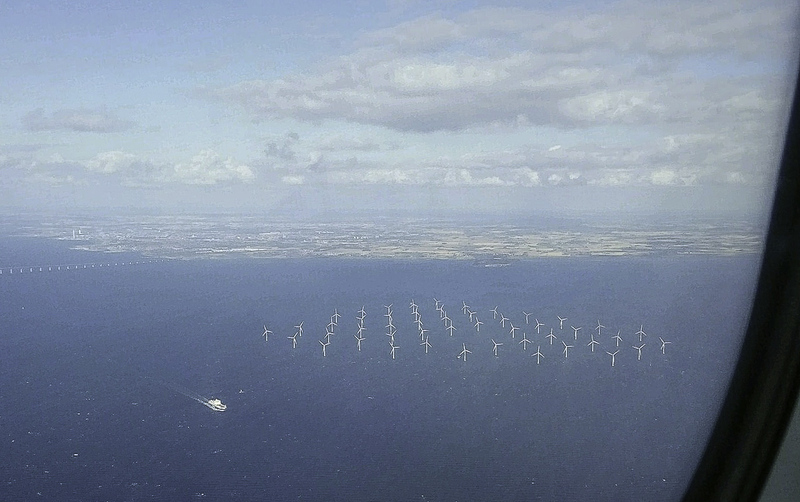 Offshore windfarm from the air. Three main sources of marine renewable energy are currently in operation around the world: wind turbines, tidal-stream driven devices and wave energy converters. Each can play an important role in reducing the impact of climate change, including potentially on cetaceans (whales and dolphins), but marine renewables can themselves have a negative effect on cetaceans. Noise, tethering lines, the structures themselves and related construction and infrastructure all have the potential to impact cetacean populations, and it’s important that the expansion of this industry is in step with our understanding of the ecological consequences. Not enough information is yet available on the extent or impact of interaction between marine renewable developments and cetaceans but a range of behavioural and physical effects, that may have long-term consequences for populations, have been either observed or predicted. For example, pile driving to punch foundations into the seabed generates loud and sustained noise that may drive animals from a critical habitat, and the tethers used to secure floating wave energy devices are an entanglement risk that can result in injury or death. Potential solutions exist and more are being developed as our understanding of the issue grows. The most effective measure is to locate renewables developments away from important habitat and migration routes for cetaceans. Other measures include use of technology such as bubble curtains or piling sleeves to reduce noise, and use of special cables to minimise the threat of entanglement. These and other measures require forward planning and international collaboration. 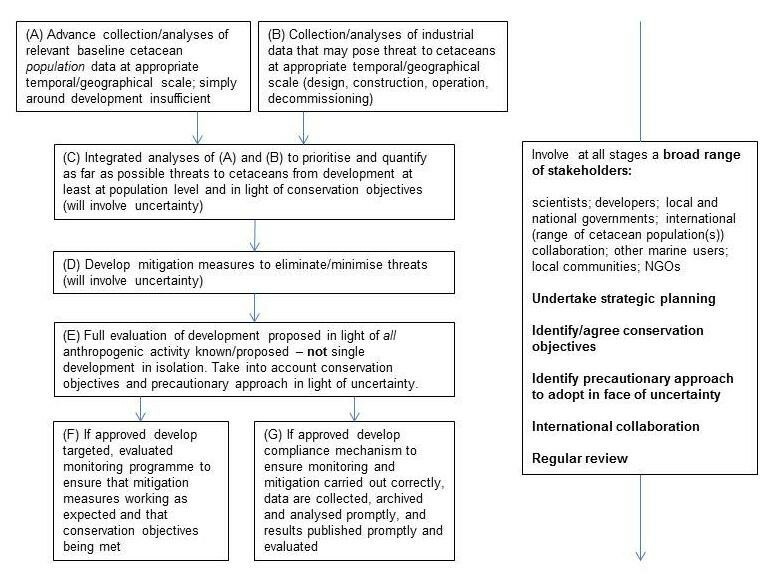 Government regulators, industry and scientists need to work together across national boundaries in order to manage the risks posed by marine renewables to cetacean populations in ways that are targeted, effective and financially sustainable to industry. Strategy & principles to minimise environmental threats posed by Marine Renewable Energy Developments. (Some stages will occur in parallel while others involve feedback). Click here to read the full report of the 2012 workshop. Click here to read more about the effect of sound on cetaceans.